With a new LEGO® movie hitting cinemas, it was inevitable that it would be joined by an accompanying videogame adaptation. 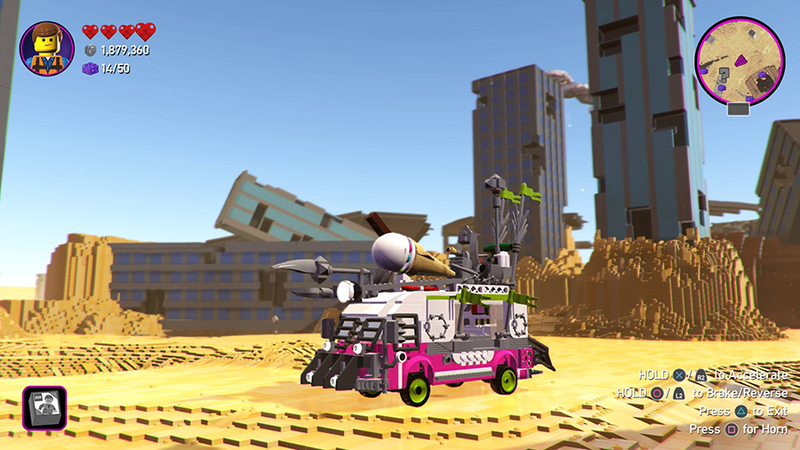 TT Games are back with another new LEGO adventure but this isn’t more of the same. 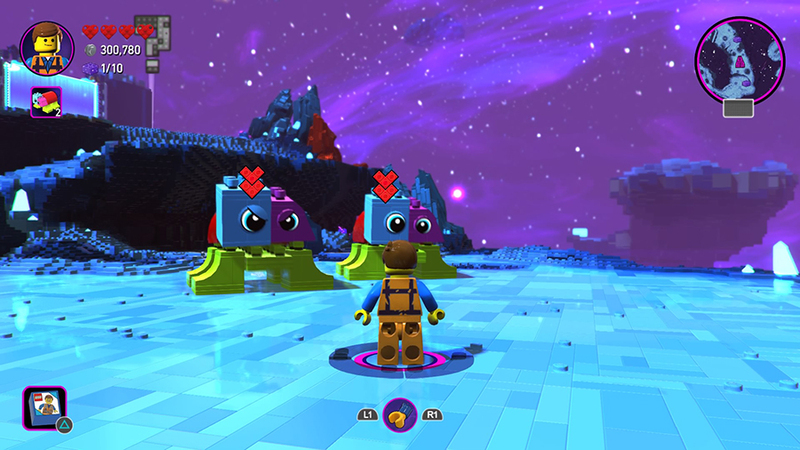 The game follows similar beats to the story of the movie, in which Bricksburg has fallen to an ongoing invasion from DUPLO aliens. Now the battle-hardened citizens have set-up home in a ramshackled citadel called Apocalypseburg. But it isn’t long before a new threat arrives and an adventure across the galaxy begins. But how does the game shape up? 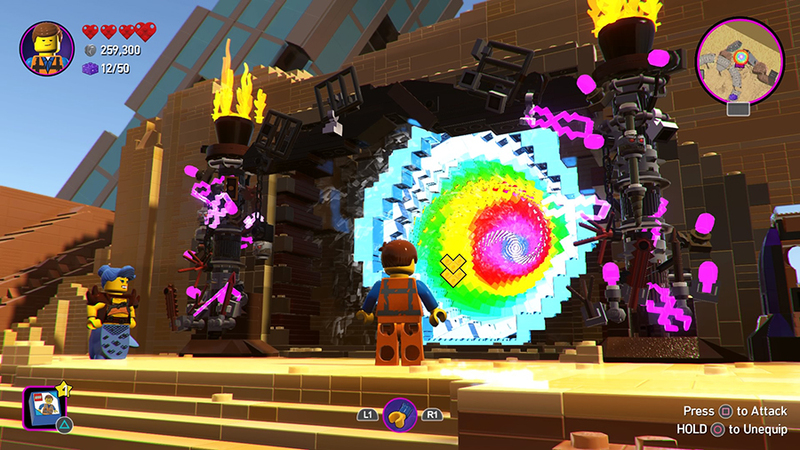 Grab some bricks, power up the portal and check out my latest LEGO Games review. 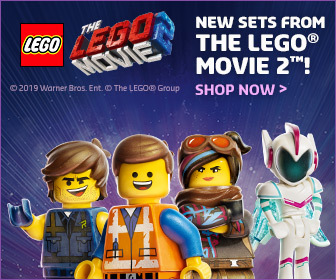 Based on events from The LEGO® Movie 2: The Second Part, alien invaders have left Bricksburg in ruins! It is now up to Emmet, Lucy and a host of heroic characters to go beyond their world and save their friends from the strange inhabitants of the Systar System. 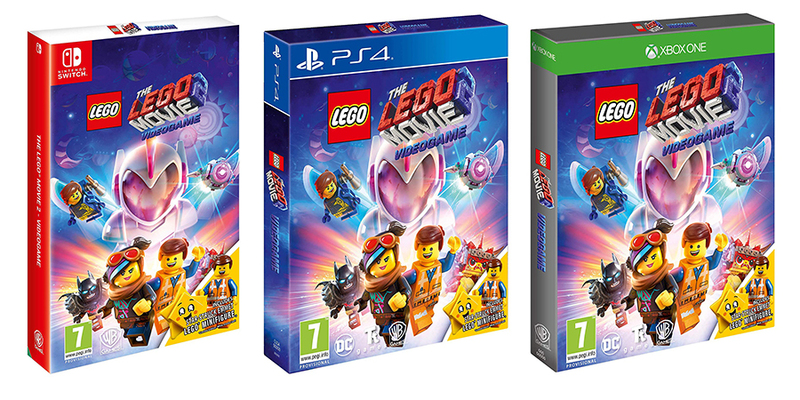 Packed with fan-favourite and exciting new characters, mysterious locations and action from both the sequel and the original blockbuster The LEGO® Movie, The LEGO® Movie 2 Videogame is a wild adventure for kids to explore. 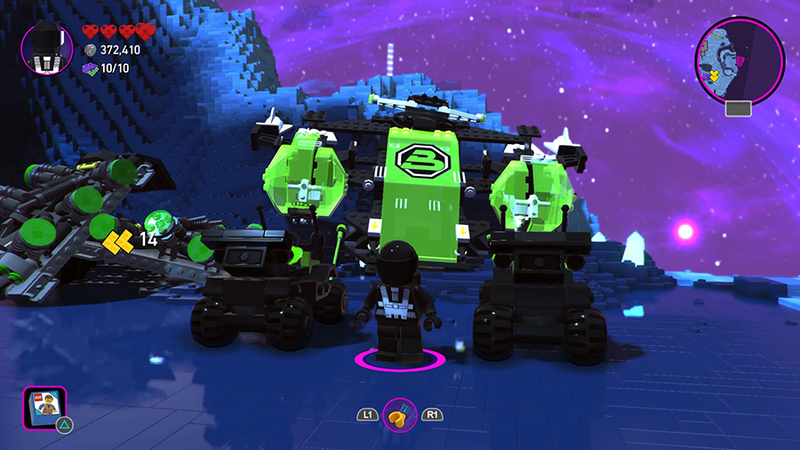 Players must scour the stars for rare items, materials and tools to complete their collections and help their journey across the LEGO® universe, experiencing a wide array of amazing environments, wacky vehicles and incredible creatures along the way. 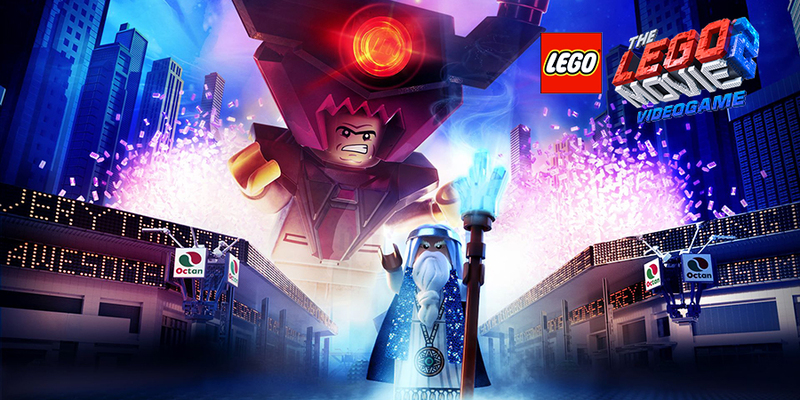 The LEGO® Movie 2 Videogame is a one-of-a-kind experience full of fantastic characters and open-world adventures with a strong emphasis on creative solutions to puzzles and building within the film’s universe. 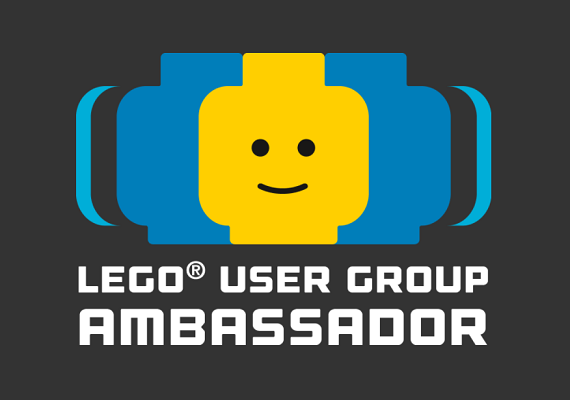 LEGO® fans of all ages will have fun rebuilding their own world using tools to create roads, change the landscape and build structures to unlock more rewards and missions. Before the game was officially released, there was little known about it’s gameplay. 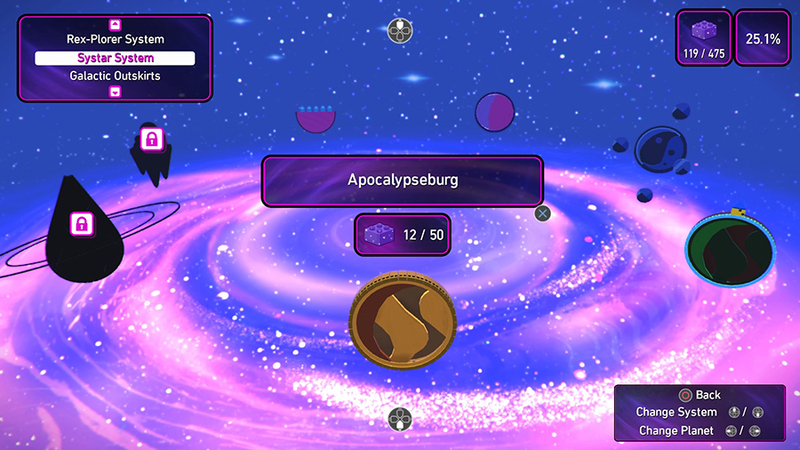 Details of the game suggested it would offer the ability to explore the galaxy and create your own worlds. 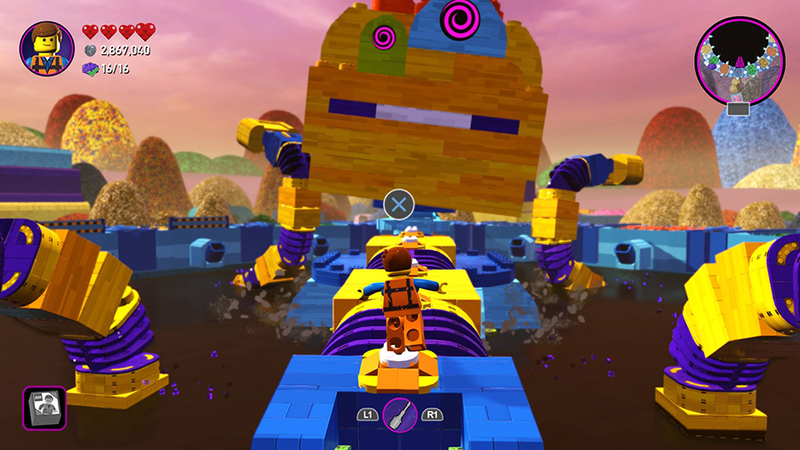 But the game is unlike many recent LEGO titles, these have followed a similar style of gameplay. However The LEGO Movie 2 Videogame turns all that on its head. 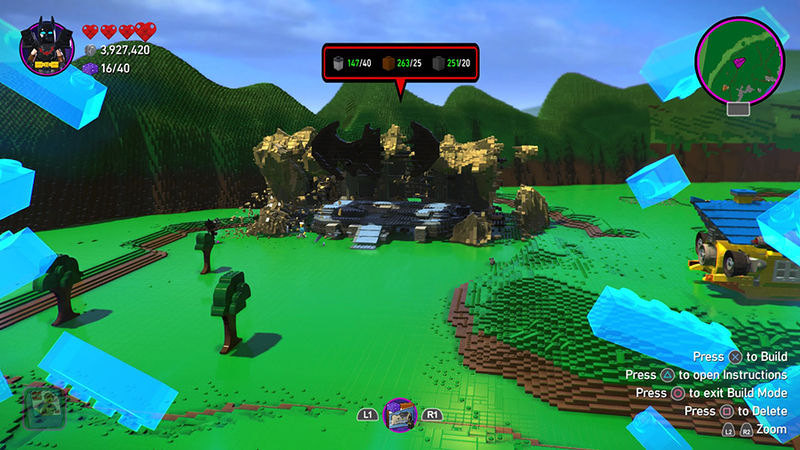 Instead it’s a more focused and partly story lead version of LEGO Worlds inspired by the movie. If you aren’t familiar with this LEGO Games spinoff, it’s was a game released back in 2017, first on PC and then on consoles. This dropped players into a completely brick-built world, where you could explore different planets, head-off on quests and build your own digital creations. Its sandbox nature was compared to Minecraft, and although the game was fun, interest in the title soon tailed off and planned DLC content, which would add slight story elements, was abandoned. 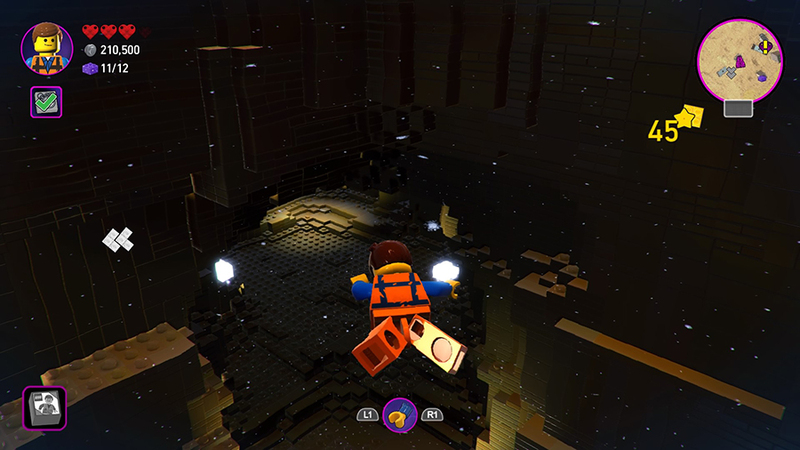 Just like LEGO Worlds, The LEGO Movie 2 Videogame also takes place in an entirely brick-built world, which is to mirror the style of the environments in the actual movie. 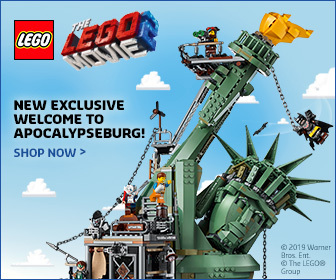 You begin your adventure in Apocalypseburg, before some of the other Master Builders are taken into wider world. The story of the film is used in an extremely basic way, although you start with Emmet, you don’t even leave the first hub world before Lucy joins your collection and much of the other characters are introduced in different ways to the movie. 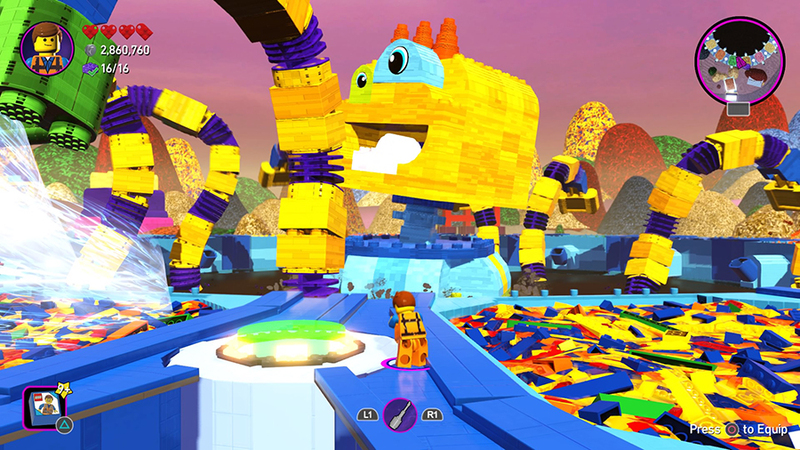 The whole style of play is similar to other LEGO Games but vastly different at the same time. Past games would provide you with new characters, who would have certain abilities to help you past various obstacles. Now you collect items like a scanner or welding torch, which can be used by any character. It’s possible to get through much of the game playing the same character. That’s not to say there aren’t many characters to collect, you unlock characters you find during quests and other can be unlocked when opening relics. These are found in chests dotted around the galaxy, just like in LEGO Worlds. Opening them in the shop can give you new items, characters, vehicles and builds. 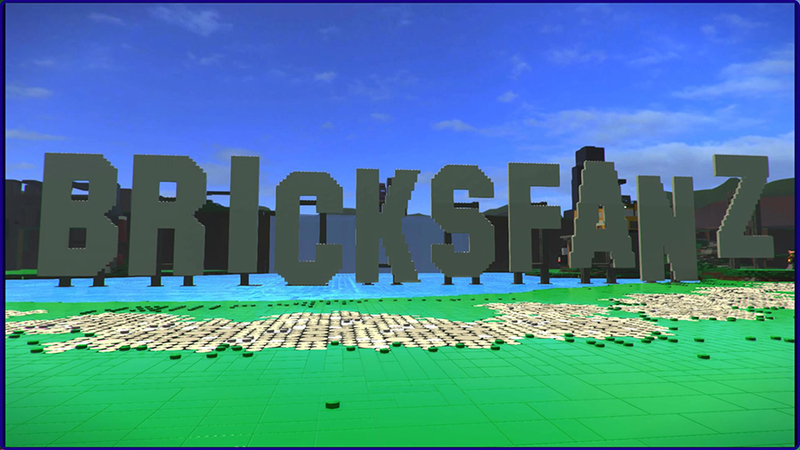 Unlike LEGO Worlds you can’t build with individual bricks, instead you can build a few quest objects and there is an entire planet you can get creative on and build super builds. These are buildings you collect as you play, they are also a source for the games main collectibles, Master Pieces. 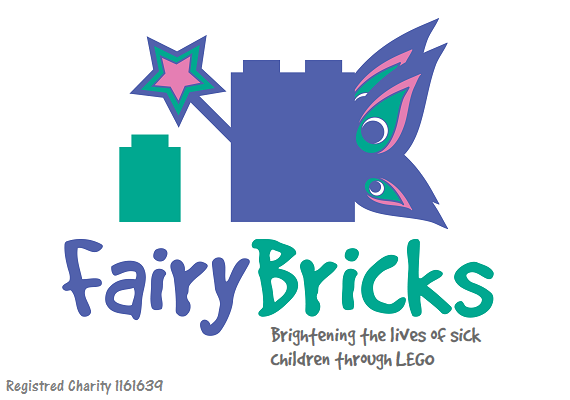 These purple bricks, are not an online estate agents, but sparkly bricks, which help you to open portals and planets. 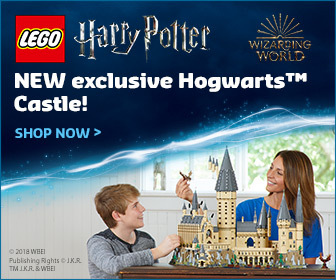 Just like LEGO Worlds, there are also numerous items to collect. As well as the main quest items, such has Danger Fists, Jet Wings and Sprinklers, you can also find weapons and items to help make your exploration a little more fun. Red Bricks are jettisoned in favour of Super Items, which are red versions of other items, that are a little more powerful. 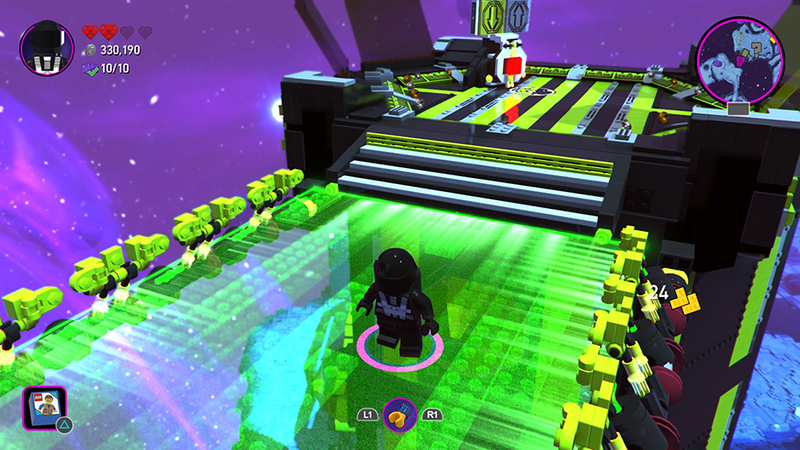 Unlike the first LEGO Movie game, connections to the movie are quite limited. Some characters are voiced, other mumble gibberish like the very first LEGO Games. To make thing even more confusing some characters who are voiced in one section of the game, suddenly become muted elsewhere. One thing for certain is the original voice cast are not used and with much of the story of the film being partly abandoned, it seems lifting the dialogue for the movie would not have worked. This limited connection to the story of the film also works in the games favour, with TT Games being able to expand on elements briefly see in the movie. These offers up some great enemy encounters, which have you fighting huge DUPLO beasts, in boss battles that feel very much like taking down colossi in Shadows of the Colossus, use a lot more colourful and less murdery. 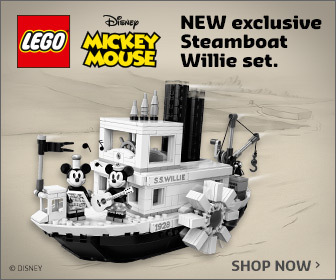 If the game wasn’t different enough, even the traditional ‘exclusive LEGO Minifigure’ included with the game isn’t the usual affair. 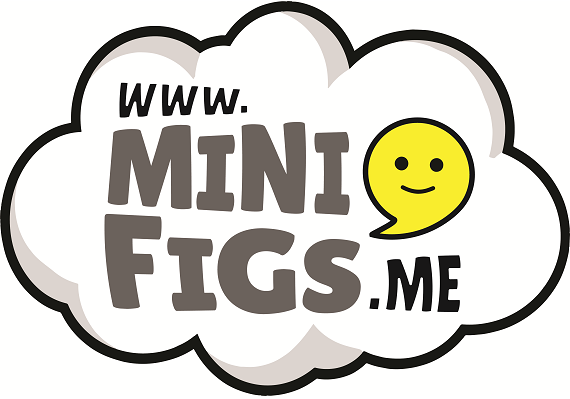 Instead of including just a Minifigure, the game actually features a mini-set polybag. The Star-Struck Emmet set isn’t even exclusive to the game, but is the easiest way to pick up the set. In the UK it’s exclusive to Amazon and elsewhere can be found in EB Games and Gamestop. See my review of the set here. There will also be extra worlds to explore with the “Galactic Adventures,” the free post-launch bonus content coming to the game across all platforms in April. 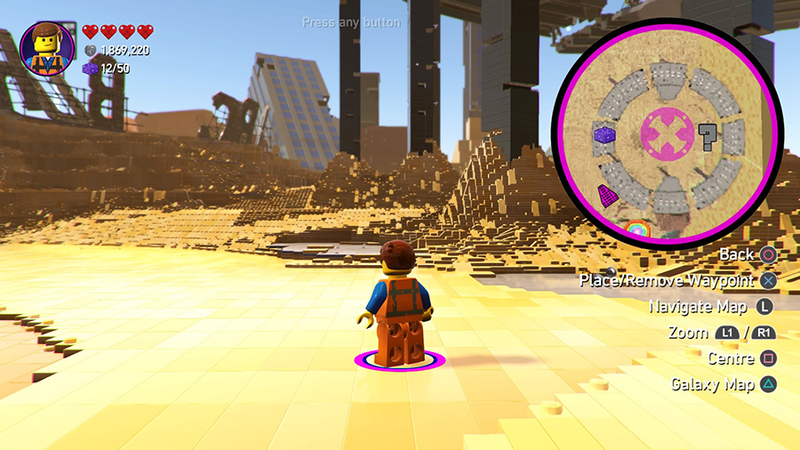 The downloadable content adds three new fantastical LEGO locations – Dis-Harmony City, The Queen’s Palace and The Rexcelsior. TT Games are often accused of churning out the ‘same game’ with each new release, but the same can’t be said here. This new approach, certainly doesn’t mean future games will feature the same open world, quest-based adventure, but it kind of works for the nature of the movie. I enjoyed LEGO Worlds but it felt a little disconnected due to the lack of story, so although the much of the gameplay, menus, and many other elements of The LEGO Movie 2 Videogame feel the same as LEGO Worlds, the gameplay seems to be a little more coherent when tied to a narrative. 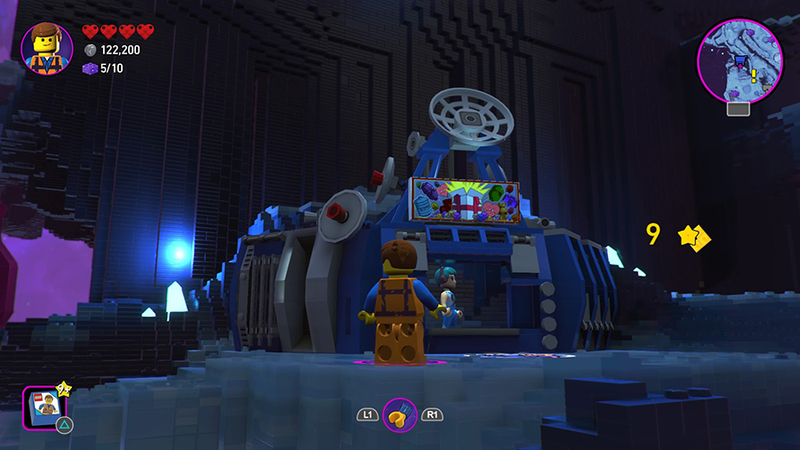 In a way it’s all come full circle, the engine built for The LEGO Movie The Videogame, helped to created LEGO Worlds and in turn that has been the basis for The LEGO Movie 2 Videogame. That’s not to say it doesn’t has some slight issues, the story unnecessarily strays from that of the movie, the mixture of voiced and mumbling character speech is grating and it can feel a little samey. But I still had a fun time and once everything was unlocked, it was even more fun blasting around the galaxy mopping up the collectibles. Bit of advice, every shop you visit on each planet, make sure you buy all items as many of them are needed for quest of the creator planet of Syspocalypstar. Thanks to Warner Bros. Interactive Entertainment for supplying us with a free copy of the game to review. 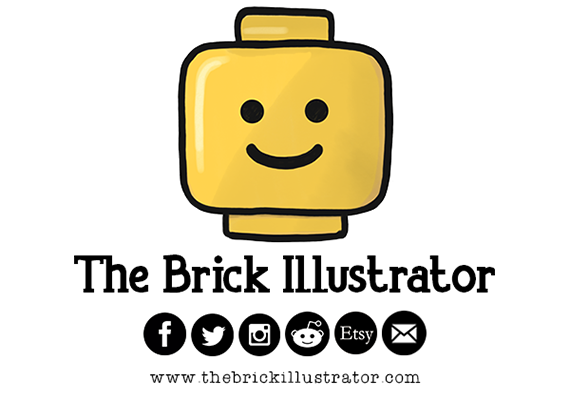 The thoughts expressed within this review of that of BricksFanz and not of Warner Media, TT Games, or the LEGO Group.